Today, 26th April, is Koning Day and King Willem-Alexander's birthday will be celebrated all over Holland . On this national holiday everyone gets into party mood and there will be fairs, markets and music shows all over the country. My old school friend Hannie emailed from Amsterdam this morning to describe what will be happening there. There's a custom of having garage sales when everyone gets rid of things they no longer want. Kids play games in the park , or sells cookies they have made themselves, or play musical instruments out on the street.She'll be singing in a choir outside a café later in the day It's always a fun atmosphere , and very busy and noisy in the centre of the city. As a sign of national pride ( and because the royals belong to the House of Orange) orange clothes are worn and cooks may create orange food. Here's my recipe to mark the day. I wanted to create an autumnal sauce to serve with roast pork. 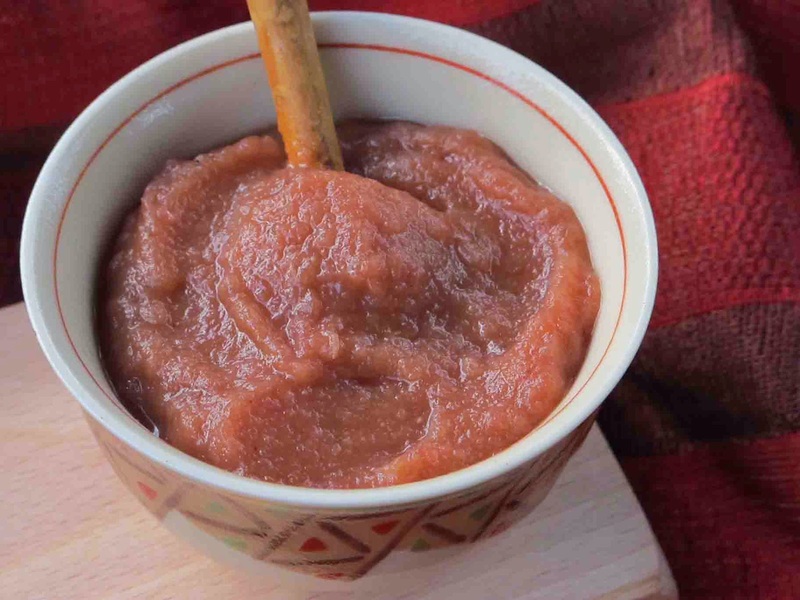 Traditionally this would be apple sauce but I was after something a little more complex and different so I mixed some stewed apples with quince preserve and caramelised onions. I used Anathoth Farm Quince Conserve which is New Zealand made, contains no added preservatives or flavours and is gluten free. You can really taste the natural fruity flavour. Start by caramelising the onions. Melt 1 tablespoon of butter in a frying pan. Add 500 gm of very finely sliced red onions and 3 tablespoons of balsamic vinegar and season with some salt and pepper. Cook very gently , stirring often, for 30-40 minutes until they are meltingly soft and sticky..
Then make the apple sauce in the microwave. Put 500 gm of peeled and sliced apples ( I used Braeburn) in a microwave safe bowl. Add a couple of tablespoons of water and cover. Microwave on high for about 10 minutes until the apples are soft. When they have cooled a little drain them and whizz in a food processor or blender until smooth. To complete the sauce add 1/2 cup of Anathoth Farm Quince Conserve and the juice of 1 lime and whizz again briefly to mix in. There was plenty of sauce left over after dinner so the next day I put some of it to good use to make six very easy and tasty mini meat loaves. Mix all the ingredients together well and bake in mini loaf tins for about 30 minutes at 180 degrees C. This mixture could also be baked as a larger meat loaf in which case increase the cooking time to about 45 -50 minutes. Simply whizzing a frozen banana to make ice cream always seems rather magical. 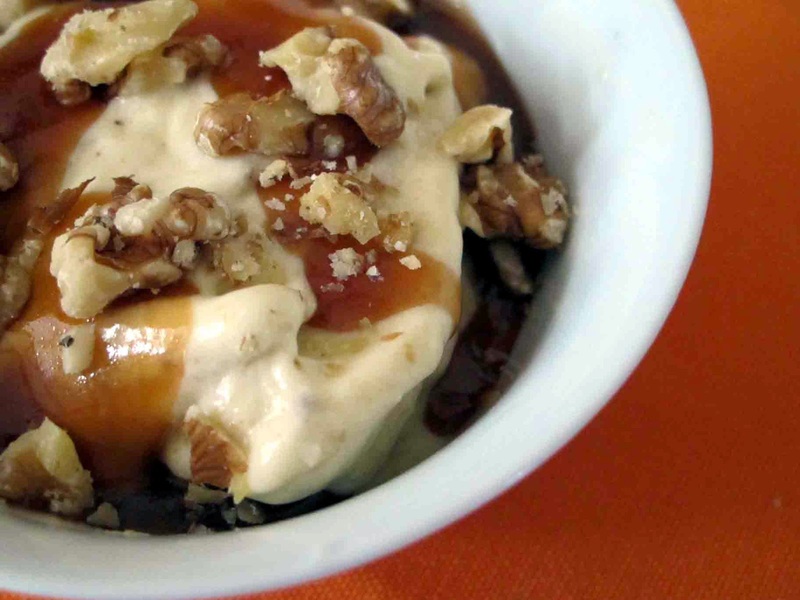 For a special occasion treat I enriched it with a little cream, scooped it into bowls, poured salted caramel sauce over the top and sprinkled it with toasted walnuts.To lessen the guilt I used All Good Fair Trade bananas. The day beforehand put some well ripened bananas in the freezer. Bring the castor sugar and butter to the boil in a saucepan over a high heat. Keep boiling until the sugar starts to caramelise and turns a deep golden brown. Whisk in the butter. Careful, steam will rise ! Add the cream ,vanilla essence and salt and stir to combine. It can bubble up before settling down. (This will keep really well in the fridge, covered, for over a month. It may set to a soft toffee like consistency which you will secretively be tempted to scoop out in spoonfuls). To reconstitute heat in the microwave briefly adding another dash of cream to make it flow better if necessary). Per person put one peeled and chopped frozen All Good banana and 1-2 tablespoons of cream in a food processor and whizz until it turns into a smooth, creamy ice cream. Dribble over some warm salted caramel syrup. Garnish with a sprinkling of toasted walnuts. "Biscuits. Army Biscuits! Consider the hardness of them. Remember the cracking of your dental plate, the breaking of this tooth, the splintering of that"
This quote from Ormond Burton is not about Anzac biscuits as you might think. 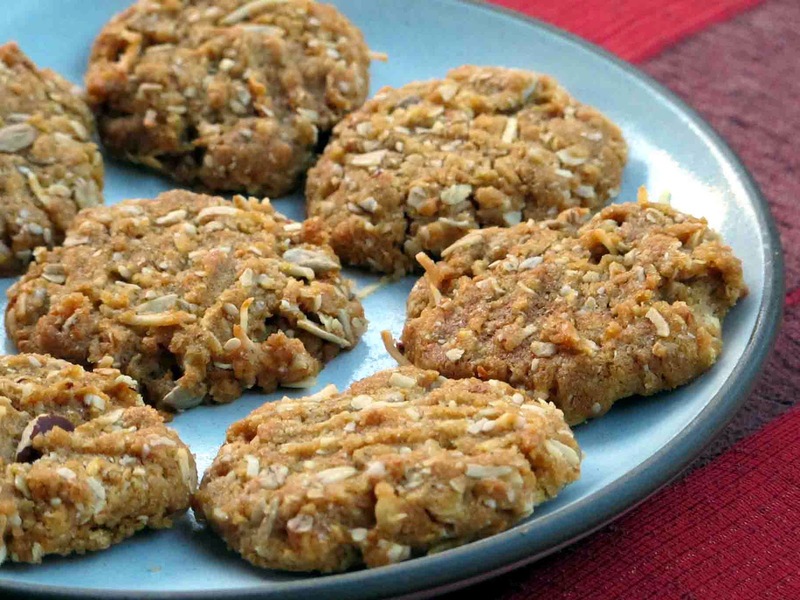 The myth that Anzac biscuits were sent and eaten by the troops in Gallipoli has been exploded by staff at the National Army Museum. It was not Anzac biscuits they got to eat but a standard Army biscuit, a rock hard tooth breaker called the ship's biscuit. A great many Anzac biscuits were however lovingly made to raise funds for the war effort at home. The are still a great biscuit to make, especially on Anzac Day. Here is my version. Using shredded coconut , instead of dessicated, gives it more texture.If you want to cut down on the sweetness use the smaller amount of sugar. Mix the boiling water and baking soda in a cup and add. Pour into the mixed dry ingredients. Put onto an oven tray lined with baking paper leaving plenty of space inbetween. 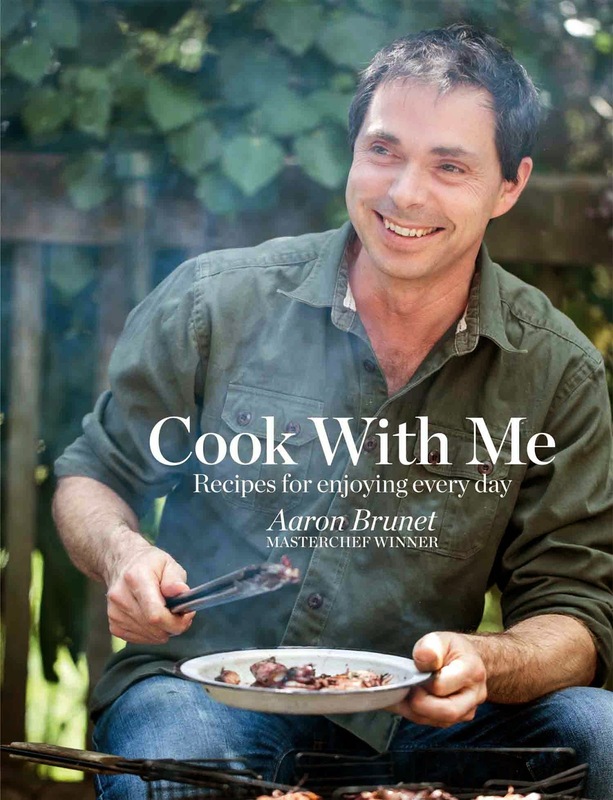 When New Zealand MasterChef winner Aaron Brunet began writing his cookbook he initially felt his recipes had to live up to the fancy dishes he had created for MasterChef. He soon found himself tangled up in knots and things just didn’t turn out right. He gave up and realised that this is not how he cooks at home. So he let go of the expectations and decided to just use the ingredients he had to hand, have some fun thinking about what he would like to eat and how he could put them together to make simple meals that he would enjoy eating. Once he did that, the book started to flow. The result is “Cook with Me” a cookbook in which he has shared the food he and his family love to eat at home. Included are lots of quick and tasty meals for busy weekdays, more leisurely and inventive dishes which he and his wife and daughter love to make together on the weekend, some tasty vegetarian recipes and a Mexican feast. Some are also derived from his European family heritage. Aaron and his family live at Raglan by the sea so he often cooks fish. His fishcakes made with hoki and trevally served with a tartare sauce flavoured with dill, cucumbers and capers are affordable and delicious. Most of us already have a favourite scone recipe but I was one over by his olive and tomato scones in which he has used vintage cheddar for its bite and gruyere cheese to give it a nutty sweetness. Aaron’s Orange Caramel baked version has a rich caramelised crust with a sumptuous baked custard filling. Aaron’s Mother Zora’s salad is a very flexible recipe. It starts with a layer of chopped tomatoes followed by generous amounts of both crisp and soft green salad vegetables, and herbs. 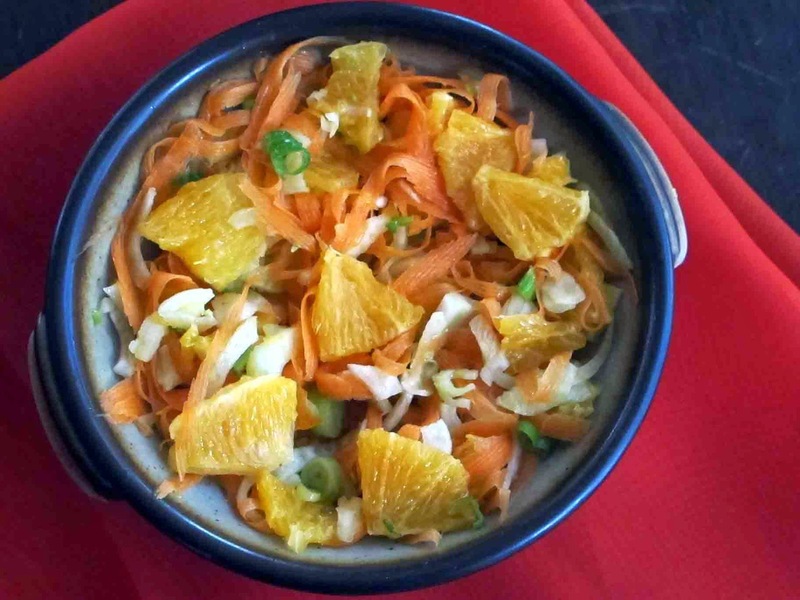 The salad is tossed with a garlicky dressing made with olive oil, citrus juices and soya sauce. Part of his Mexican feast this is slow-cooked beef in a rich and spicy sauce with a dose of lime marmalade for sweetness. It could be Aaron’s background as an IT consultant which has enabled him to describe how to make sourdough bread which can be fickle in such a meticulous and detailed way (it takes up 8 pages including hints!) As I write his sourdough starter is bubbling away on my sunny window sill. It will need feeding for another week or so before I can use it but hopefully I should finish up with two big rustic sourdough loaves with a rich dark crust. Popcorn cooked in a pressure cooker?! 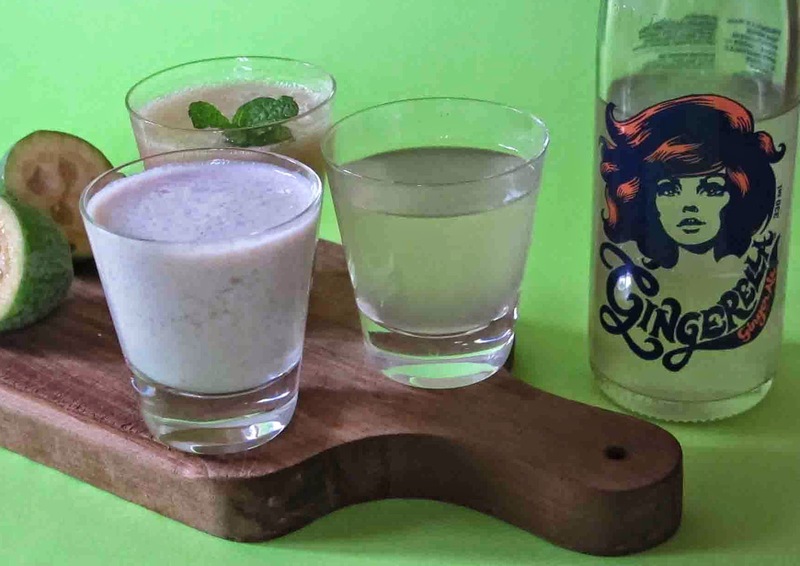 This is one recipe which I have not yet been game to try. Aaron agrees that this is not your usual popcorn experience and is getting out on the fringes but he included it because he was fascinated by its incredibly earthy wholesome texture. This is a cookbook full of creative affordable and tasty family recipes. It is not a vegetarian cookbook but it does focus mainly on fish, chicken, vegetables, fruit and grains. The research shows that older people who eat a balanced diet, with lots of vegetables, fruit, whole grains, chicken and fish can have a better life expectancy and quality of life. Even if up to now you have been a dedicated red meat and two veg person, it is well worth taking a look at Aaron’s healthy meals. You might well find you enjoy the journey and could then be on the way to a healthy and longer life. We've managed to resist the temptation to eat Hot Cross Buns till now. Well, Easter is almost here ! But where do Hot Cross Buns come from? I found an answer in this year's Anglican Easter magazine. While some historians date the tradition of baking Hot Cross Buns to the 12th century the earliest record may well be 1361 when an Anglican Monk called Father Thomas Radcliffe was recorded to have made small spiced cakes stamped with the sign of the cross ( a symbol to remember the death and resurrection of Jesus) They were distributed to the poor who visited the monastery at St Alban's on Good Friday. They were so popular that he made them again every year from then on. But he wouldn't share his bun recipe and kept it close to his chest for many years. Oh well ,there are dozens to choose from now. But none so tempting right now as this chocolate version by culinary stalwarts Dame Alison and Simon Holst .I have dusted off my bread maker to bake them. 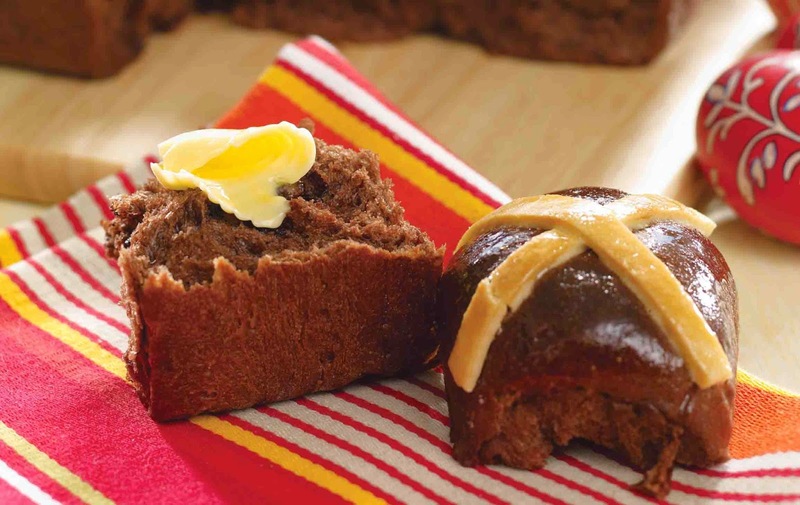 They themselves like traditional, fruit and spice flavoured hot cross buns, but for some reason Simon’s children have gone off them, and now prefer this chocolate version. 1 Measure all the ingredients into a 750g capacity bread machine in the order specified by the manufacturer. Set to the DOUGH cycle and start. (Add the chocolate chips at the beep if your machine offers this option). When the cycle is complete, shape and bake as below. 2 Divide the dough evenly into four pieces, then again into four quarters so you have 16 pieces in total. Shape each one into a round ball and arrange in non-stick sprayed (and/or baking paper-lined) baking pans or in a rectangular roasting dish, leaving about 1cm between each bun. Cover with cling film and leave in a warm place until doubled in size. 3 If you want to add pastry crosses, bake the buns first and decorate when cooled with crosses made with vanilla or chocolate icing or melted white or dark chocolate. 4. Bake at 200 degrees C for 12-15 minutes or until lightly browned. Glaze immediately with a syrup made by bringing to the boil 1 tablespoon each of golden syrup, honey and water.